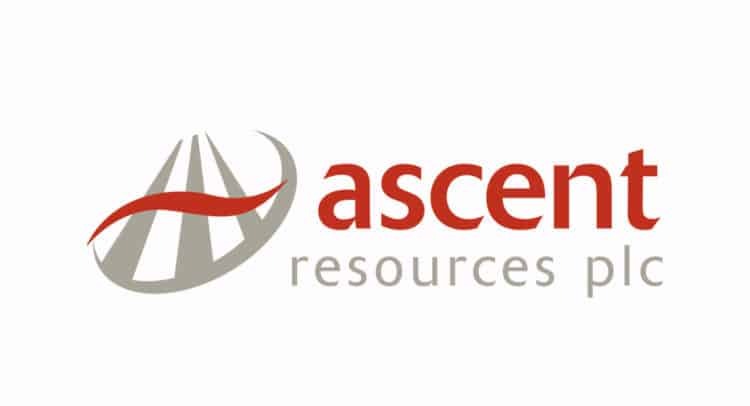 Colin Hutchinson, CEO of Ascent Resources plc, commented: “The Company has nothing to do with any abusive emails sent by those claiming to be Ascent shareholders and utterly condemns such behaviour, however, we do not understand how the actions of individuals unconnected to the company can be used to justify a delay to the permitting process. The Board of Ascent wishes to update shareholders on permitting, the strategic review, production for November and the future direction of the Company. To date Ascent has invested €50 million in the Petišovci project over an eleven-year period and is one of the largest UK investments in the country. Aside from the financial benefits of the project to the Slovenian economy in terms of jobs, investment and tax revenues, the project has the potential to provide a meaningful percentage of Slovenia’s natural gas consumption for many years to come, providing energy security and supporting the country’s transition to a lower carbon economy. On 7 November 2018 we reported that the Slovenian Environment Minister had announced an internal review into the permits, applied for by the Joint Venture partners, in relation to the Petišovci natural gas project. The trigger for the review, according to the Ministry, and the subsequent focus of media coverage in Slovenia, has been whether abusive communications from people claiming to be Ascent shareholders have inappropriately influenced the decisions of public officials in Slovenia. We have received the conclusions from the internal review carried out by the Environment Ministry via the Information Commissioner and the conclusions largely relate to the internal processes of the Environmental Agency. It makes conclusions on public relations procedures within the environment agency and the internal processes of the organisation. The focus of the review was therefore the process and not the content of the application. The Environmental Agency’s internal review has now apparently concluded however we understand that a number of abusive emails are now the subject of a police investigation. The board of Ascent continues to condemn any abusive communications directed at public officials in Slovenia. The Board of Ascent reiterates that it has no control of, or responsibility for, any communications from people claiming to be Ascent shareholders. Where we become aware of such communications we shall cooperate fully with the Slovenian authorities and assist in any prosecutions under either UK law in respect of Market Abuse or Slovenian law as regards the intimidation of public officials. We continue to strongly urge all shareholders not to contact any officials or politicians in Slovenia. All requests for information on the permit applications should be directed to Ascent. The unpredictability of the Slovenian permitting system in respect of process and timing continues to have a deeply negative impact on the perceived investment environment in the country from outside investors. As a consequence, many of the companies with which the Board has held discussions have viewed Slovenia as an unacceptably high risk for investment. The Company views the operation of the Slovenian permitting system and related issues as having deprived shareholders of significant value in terms of historic costs and lost future benefits from the project. The Company has met with various legal advisers over the past weeks with the intention of putting together a team to develop legal arguments to support a claim for damages. These include those willing to support an action on a contingent basis. Further meetings are scheduled for the coming weeks and an update will be provided in due course. In the short term we will continue to seek to maximise revenues from production from our existing wells at Petišovci and seek to add value elsewhere on the project where new permits are not required. However, until the permitting issues have been resolved our focus needs to shift elsewhere. In the absence of clarity on the timing of the permits referred to above the Board of Ascent has reluctantly taken the decision to halt the strategic review and formal sale process. As a result the Company is no longer in an offer period under the City Code on Takeovers and Mergers (the “Code”) and, accordingly, the requirement to make disclosures under Rule 8 of the Code has now ceased. Total production for November was 463,283 cubic metres (16,356 Mcf) an average of 0.6 MMscfd, and revenue for the month is expected to be approximately €100,000. Total production in October was 679,191 cubic metres (23,866 Mcf) an average of 0.9 MMscfd and revenue for the month was €147,446. Given the investment environment in Slovenia, and following the termination of the strategic review, the Board of Ascent is actively seeking business development activities elsewhere. Our focus is on markets with a well-developed oil and gas industry and governments that understand the importance of developing their natural resources to create energy security and economic growth. In this regard the company notes the recent launch of the onshore licensing round in Croatia and has begun to review the available data on the blocks that will be the subject of the bid round in June 2019.